Swim in crystal clear waters and see hundreds of tropical fish! The tour was a good experience! Simon and the team was really nice and helpful. Only bad point: the islands were crouded. But in general it was fun, I can offer thisx trip for everyone. Sit back and relax as you are whisked away in the convenience of a modern speedboat to the magical islands of Khai Nok, Khai Nai and Khai Nui. 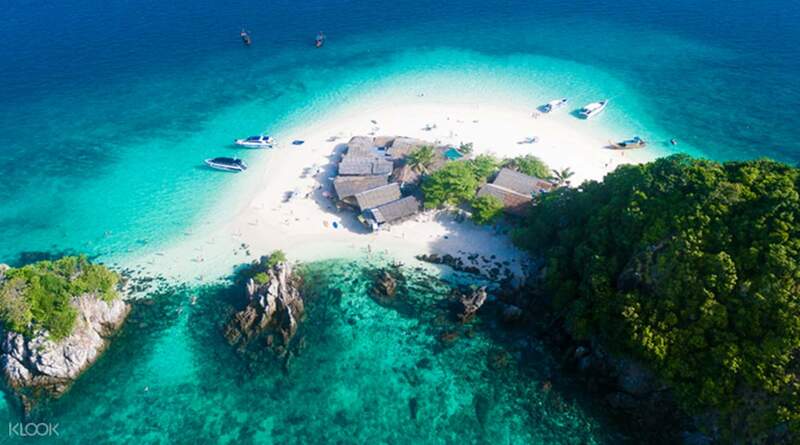 Spend a half or full day savoring the sublime landscape of the Khai islands and discovering the tropical marine life that reside in the sparkling waters. If you opt for the full day option, you’ll also enjoy a delicious lunch on the beach at Khai Nai before being transported to the gorgeous island of Khai Nok. Due to the shallower waters here, it’s a fantastic place for younger children to splash about and view the multi colored fish! 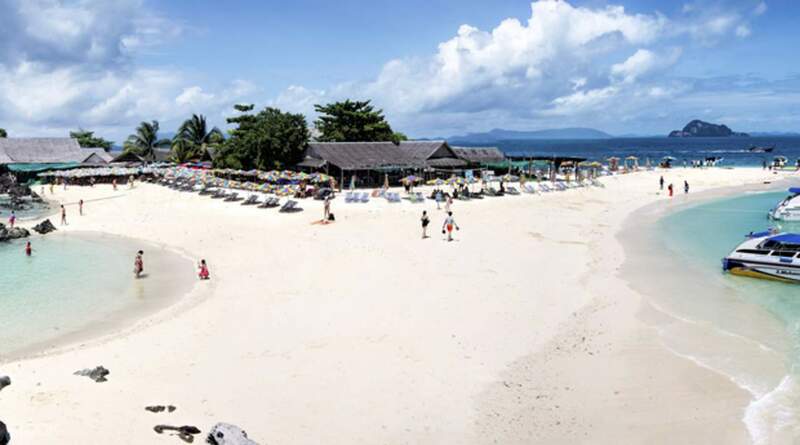 At Khai Nok you’ll have free time to enjoy the island at your own pace allowing you to sunbathe on the pure white sand, snorkel in the crystal clear waters or stroll along the beach promenade whilst relishing the idyllic vista around you. 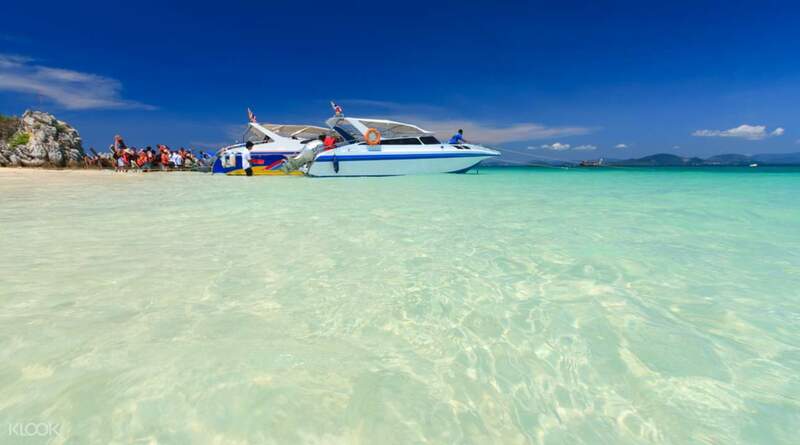 With a swift 20 minute speedboat ride back to Phuket and the added comfort of a hotel drop off, this tour is a slice of heaven for the whole family! Great for swimming & snorkeling, this trip is incredible value for money! Wonderful trip package. Beautiful islands. Very less crowd. Looking forward to visit the islands again. The tour guide was also superb. Very punctual. Wonderful trip package. Beautiful islands. Very less crowd. Looking forward to visit the islands again. The tour guide was also superb. Very punctual. Hostel pickup was on-time. Jennie, our guide was awesome! lots of refreshment. Half day tour hopping to these islands really worth it! No hassle for return transfer! Hostel pickup was on-time. Jennie, our guide was awesome! lots of refreshment. Half day tour hopping to these islands really worth it! No hassle for return transfer! Great trip! Awesome view, tour guide and the crews was awesome too. We took the half day tour but it’s worth. Thank you Klook! We arw your biggest fan now. Great trip! Awesome view, tour guide and the crews was awesome too. We took the half day tour but it’s worth. Thank you Klook! We arw your biggest fan now. Perfect timing to visit two islands and go snorkelling at a third. Jennie is the best tour guide. Loved the singing on the boat. About 20 mins to the first island and an hour or so at each. Perfect timing to visit two islands and go snorkelling at a third. Jennie is the best tour guide. Loved the singing on the boat. About 20 mins to the first island and an hour or so at each. Driver pick up on time. Tour was excellent, all boat staff friendly and helpful. It was very nice experience to have day tour. Recommending to everyone. Driver pick up on time. Tour was excellent, all boat staff friendly and helpful. It was very nice experience to have day tour. Recommending to everyone. Nice tour for snorkeling and swimming on the beach with colorfull fishes. Firs stop for snorkeling (40 minutes) in open sea near the island. Second and third stops at the islands (2 hours at each island) to swim and maybe to snorkl (not much to see from the beach though). Islands are tiny with a few shops and eateries. Toilets 20 bath, beach chairs 100 bath. Lunch box for free, but you need to eat it somwhere outside the eatery on the beach or rent chair. Nice tour for snorkeling and swimming on the beach with colorfull fishes. Firs stop for snorkeling (40 minutes) in open sea near the island. Second and third stops at the islands (2 hours at each island) to swim and maybe to snorkl (not much to see from the beach though). Islands are tiny with a few shops and eateries. Toilets 20 bath, beach chairs 100 bath. Lunch box for free, but you need to eat it somwhere outside the eatery on the beach or rent chair.